The performance of the market in this month has improved in recent years. Five years ago it ranked ninth of all months, whereas today it is third (just behind December and April). Since 1984 the market has risen in February in 59% of all years, with an average return of 1.0%. In fact the market has only fallen five times in February in the last 20 years; but, as you can see from the following chart, although the market usually rises in February, on the times it does fall those falls can be quite large. 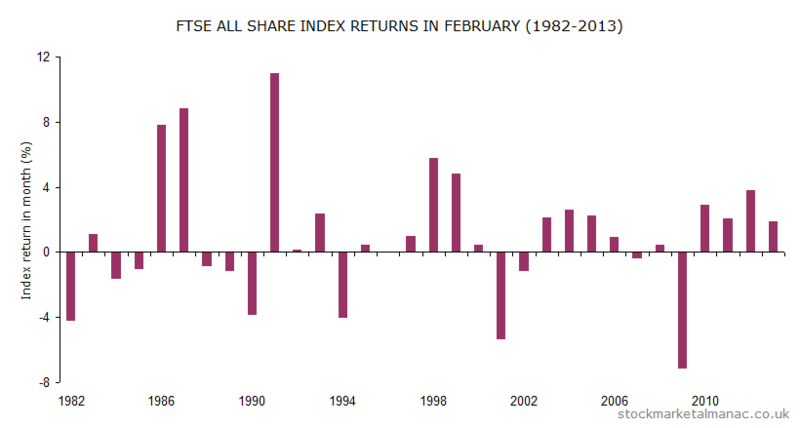 But generally February has not been a volatile month. The greatest one-day rise seen in February since 1984 was 12 February 2008 when the FTSE 100 Index rose 3.5%, which ranks only 39th in largest one-day gains for the index. Similarly, the greatest one-day fall was on 20 February 2009 when the FTSE 100 fell 3.2% (only the 60th largest one-day drop for the index). In an average February the market rises for the first two-and-a-half weeks and then drifts lower for the rest of the month. The first trading day of February is usually strong; in fact it is the strongest first trading day of all months in the year. With January, February is the best month for mid-cap stocks relative to the large caps. On average the FTSE 250 Index outperforms the FTSE 100 Index by 1.3 percentage points in this month. In the last twenty years the sectors that have been strong in February have been: Chemicals, Construction & Materials, General Retailers, Household Goods and Mining; while the weak sectors have been: Electronic & Electrical Equipment, Financial Services, Fixed Line Telecommunications, Mobile Telecommunications and Technology Hardware & Equipment. For companies, the following FTSE 350 shares have performed well in February over the last ten years: BG Group, Bunzl, Croda International, Fidessa Group and Savills; the shares of these companies have risen in February for nine of the past ten years. The shares that don’t seem to like February are: AstraZeneca and Vodafone. This is the busiest month for FTSE 100 results announcements – 34 companies announce their preliminary results in February (as do 53 FTSE 250 companies). A quiet month on the economics front: MPC interest rate announcement on the 6th (don’t get too excited!) and US non-farm payrolls on the 7th. And, finally, 21 February will mark the 200th anniversary of The Great Stock Exchange Fraud (look it up on Wikipedia). 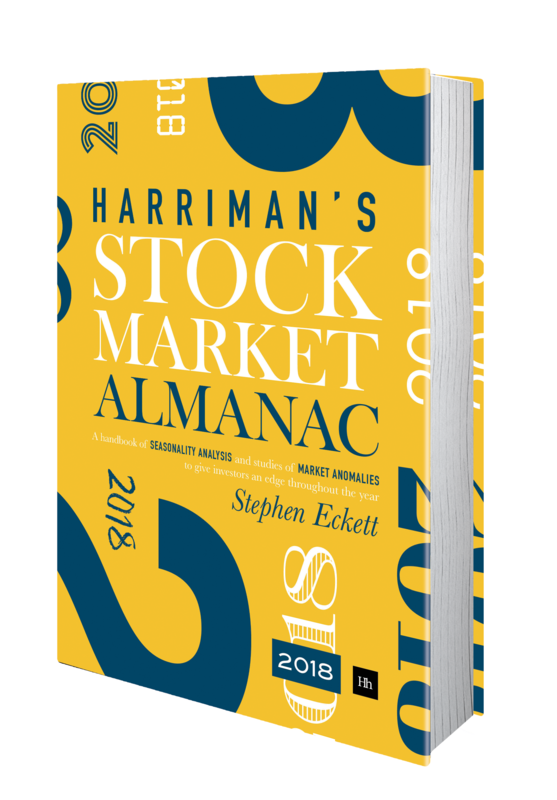 This entry was posted in February, Market, News and tagged February, month review by Almanacist. Bookmark the permalink.